Uttar Pradesh government on Tuesday announced to build the world’s largest access controlled Ganga Expressway estimated to cost Rs 36,000 crore to link Prayagraj (Allahabad) with Western UP. 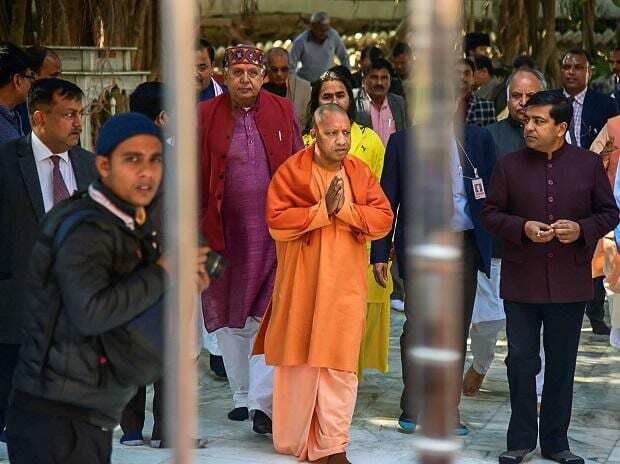 The 600 km greenfield project was approved at the state cabinet meeting chaired by chief minister Yogi Adityanath at Prayagraj, where the world’s largest congregation of faith Kumbh 2019 is underway. Talking to media after the cabinet meet, the CM informed the proposed Expressway would require acquisition of 6,556 hectares of land and connect Prayagraj with Meerut via Bulandshahar, Shahjahanpur, Badaun, Kannauj, Unnao and Pratagarh districts. The Expressway would pass through districts where the opposition Congress and Samajwadi Party have traditional pocket boroughs even as political heat is already getting intense in run up to the Lok Sabha elections 2019. The 4-lane Expressway would be expandable to 6-lane. The previous Mayawati government (2007-12) had also proposed a Rs 30,000 crore 1,047 km Ganga Expressway to connect Ballia in Eastern UP with Greater Noida in the National Capital Region (NCR). However, the project landed into trouble over acquisition and environmental clearances hurdles. The work on the mega project came to an abrupt halt on May 29, 2009, when the Allahabad High Court ordered UP to secure clearance from the central environment ministry before going ahead. The alignment process by the concessionaire Jaypee Group company was nearing completion, when the HC had order came over separate petitions by Vindh Environmental Society (VEM), Mirzapur and Hindu Mahasabha questioning the environmental feasibility of the project. The HC had quashed the earlier environmental clearance dated August 23, 2007 observing gaps in the preliminary clearance. The Expressway between Greater Noida and Ballia was proposed via Bulandshahr, Aligarh, Badaun, Kanshi Ram Nagar, Farrukhabad, Shahjahanpur, Hardoi, Unnao, Rae Bareli, Pratapgarh, Allahabad, Mirzapur, Sant Ravi Das Nagar, Varanasi and Ghazipur districts. Meanwhile, the Adityanath cabinet also gave nod to two more Expressway projects, including Bundelkhand Expressway and Gorakhpur Link Expressway, which would link Adityanath’s turf of Gorakhpur with the proposed Purvanchal Expressway. The 296 km Bundelkhand Expressway, estimated to cost Rs 8,864 crore, would require acquisition of 3,641 hectares of land. The CM claimed the process of land acquisition had already started. Besides, the cabinet also cleared the proposal of 91 km Gorakhpur Link Expressway which would traverse through Azamgarh and Ambedkar Nagar districts. It would cost Rs 5,555 crore. However, the government has yet not revealed the financial and execution model of the three proposed expressways, which together would cost almost Rs 45,000 crore. The Adityanath cabinet conducted its historic meeting at Prayagraj. It was for the first time that such meeting was held outside the state capital. In 1962, the UP cabinet meeting had taken place at Nainital (now in Uttarakhand) during the regime of then Congress CM Govind Ballabh Pant.